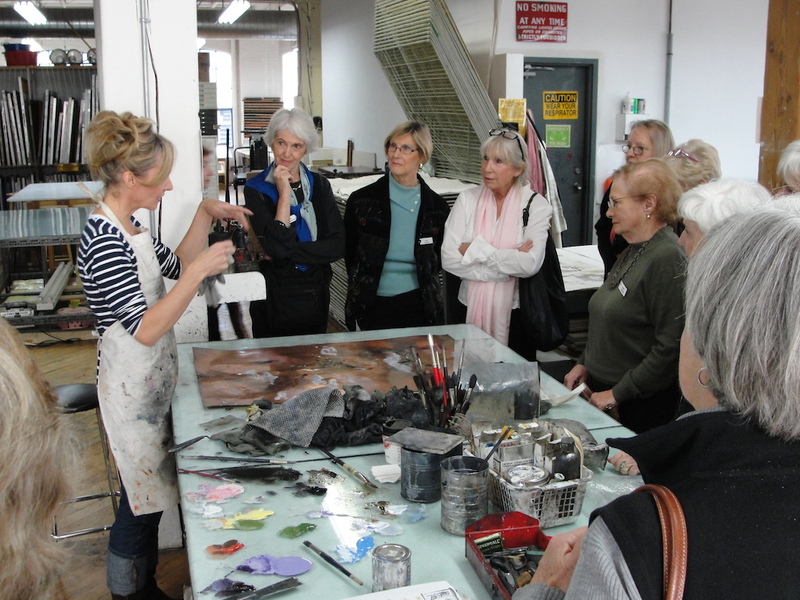 Artist Susan Collett gives a printmaking demonstratio to a group of studio visitors. Open Studio offers a range of tours and demonstrations for post-secondary students, adult groups and corporate groups. Tours and demos are great opportunities for team building, social groups and extended learning. Recharge and reward your team with an afternoon of printmaking, designed to encourage creativity and collaboration. Our artist/instructors will introduce the group to monoprinting or screenprinting in our professionally equipped studio. Participants will leave with their own original works of art. Please call 416-504-8238 or email office@openstudio.ca for more information.